Can we adapt it for Sega too? I have doubts it remains compatible enough with existing games and whatnot. Even 68010 breaks a lot of games. Even overclocking the 68000 is enough to break a lot of things. Also you won't gain that much with speeding up the CPU aside from software rendering, because the VDP can't keep up with a much faster CPU (I think the limit is a 68000 at 10MHz, anything that can use the bus faster than it will break the VDP). We can easily replace RAM but we can't replace the VDP. There is also the Wicher 500i Ex Accelerator. I want to try it out. Probably will be a bit expensive. Put wait states on VDP accesses, and anything else that doesn't like to go fast. Have 1 or 2 MB of local ram at full speed for best performance. I recall Jorge once bringing up that the VDP can happily take the 68000 running at MClk/2, but the surrounding components need to be changed to cope with it (and also faster RAM). Would be interesting to see what a ～26MHz 68000 could do. Or ColdFire at 260 MHz. ColdFire lacks a lot of instructions though, and the ones that remain aren't even encoded the same way from what I gather =/ May as well throw in a 2GHz ARM CPU instead. 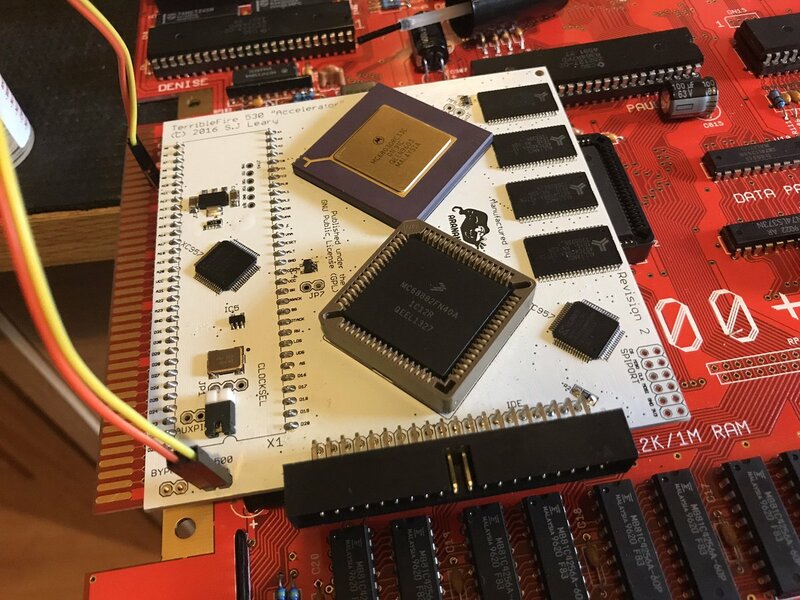 The CF68KLib allows most ColdFire processors to run 68k code; it supports 68000, 68020, 68030, 68EC040, 68EC060, CPU32, and CPU32+ instructions, though no FPU or MMU instructions. This would slow 68k code compared to native, but it would still blow a 680x0 of any variety out of the water. There have been ColdFire accelerators made for the Atari ST and Amiga that take advantage of this.